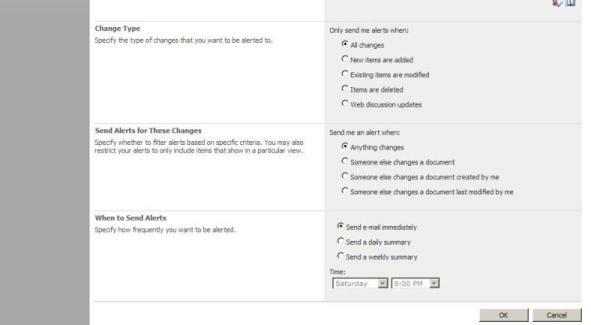 You can configure the email alerts when there is a change to any site item including Document libraries, issues, risks and other custom lists. 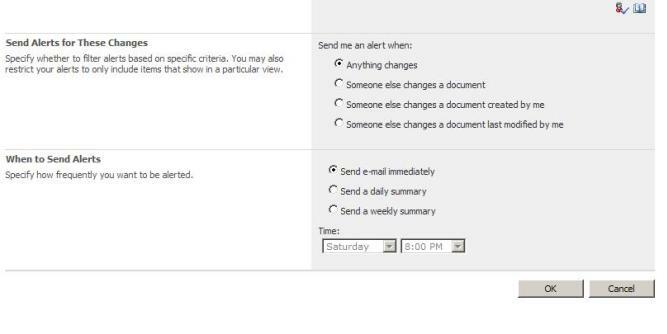 No alerts are setup automatically, so you must subscribe for the alerts, notifications that you want. 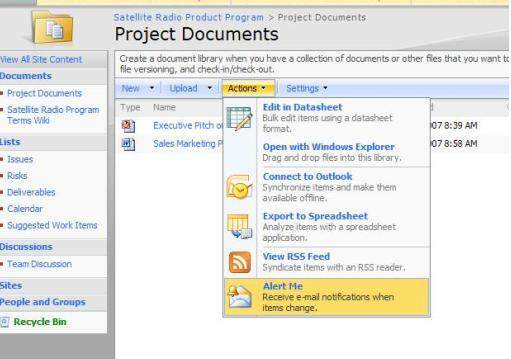 If you would like to aware of the changes performed on document library, you can setup email alerts. 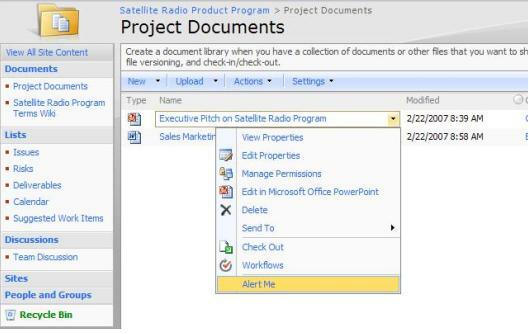 Windows SharePoint Services also have the feature that you can define the alert on required document within Document Library.